Are any of these situations bothering you? → Do you need more control on downhill descents? 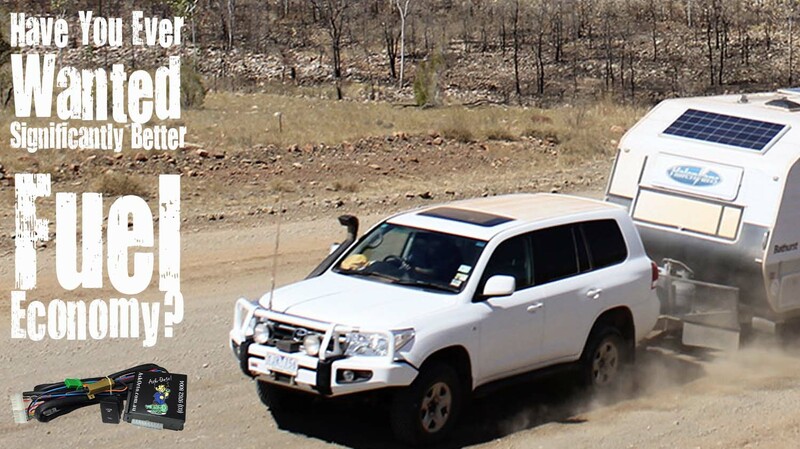 → Is your caravan draining your fuel tank? → Does your transmission temp light flash on and off like its at a disco? → Does you tacho run wild as your transmission struggles to cope? → Majorly reduce your fuel consumption while towing on the open road – you will get 2L to 6L per 100km (!) reductions in consumption (varies depending on transmission). → Gain 100% engine braking for difficult descents (just like a manual) on road and off road. Note: 100% engine braking via 1st gear lockup is available on some stock transmissions. However, all transmissions running our Nomad enhanced valve body can activate lockup in first gear. We recommend an upgrade if you haven’t already! With 15 years of proven history, the Wholesale Automatic Transmissions GENII Torque Converter Lockup Kit is the only system that has it’s own ECU that mimics the factory ECU output to ensure solenoid longevity. The torque converter is a device that sits between the engine and the automatic transmission. It is referred to as a fluid coupling with an unlocked or free spinning mode and a locked or engaged mode. The transmission ECU automatically controls when the torque converter is switched between these two modes. When your vehicle is travelling in a situation where the ECU calculates that the torque converter lockup can be applied, a solenoid is activated sending oil pressure to act on a clutch inside the torque converter which in turn ‘Locks’ the engine output shaft and transmission input shafts together so they spin at the same speed. This primarily is to reduce heat build up and also reduce fuel consumption. Due to most vehicles being manufactured and tested to be operated on sealed roads in suburbia, the torque converter clutch usually works perfectly. 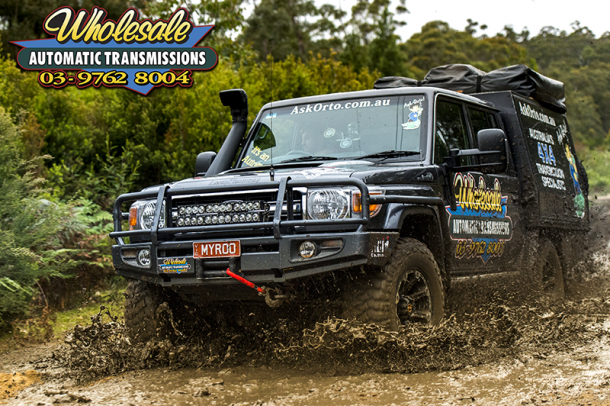 However when the vehicle is in towing and/or offroad conditions, it can quite often cause frustrations to the driver as the factory ECU appears confused and is constantly changing the state of the torque converter clutch. 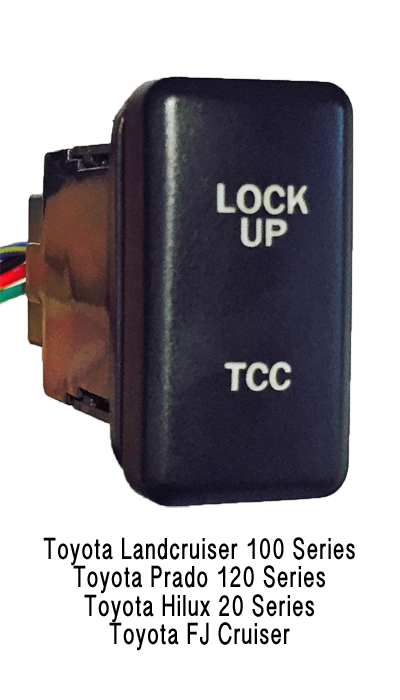 With the assistance of the GENII Torque Converter Lockup Control System, the driver can override the torque converter lockup circuit providing a relaxed and enjoyable driving environment. The operation of the GENII Torque Converter Lockup system is designed not to impact the vehicle’s standard operations in any way. We have specifically designed it so that when the system is off or unpowered, the torque converter circuit is operating under the factory standard ECU with no modification to the circuit. 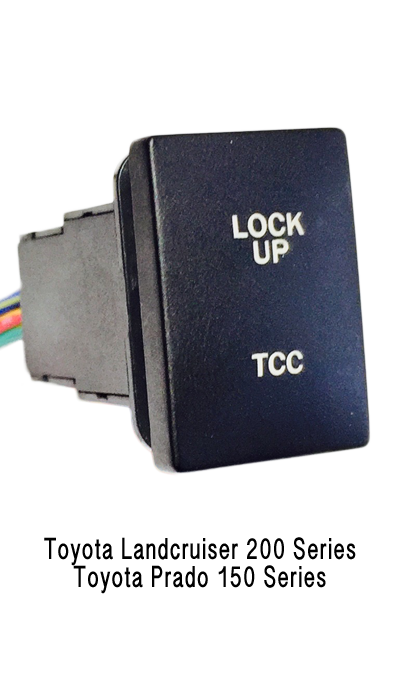 When you activate our GENII Torque Converter Lockup system, the in built ECU takes over control of the torque converter clutch circuit. Providing the factory ECU with a signal that mimics the solenoid and preventing any diagnostic lights from coming up on the dashboard. 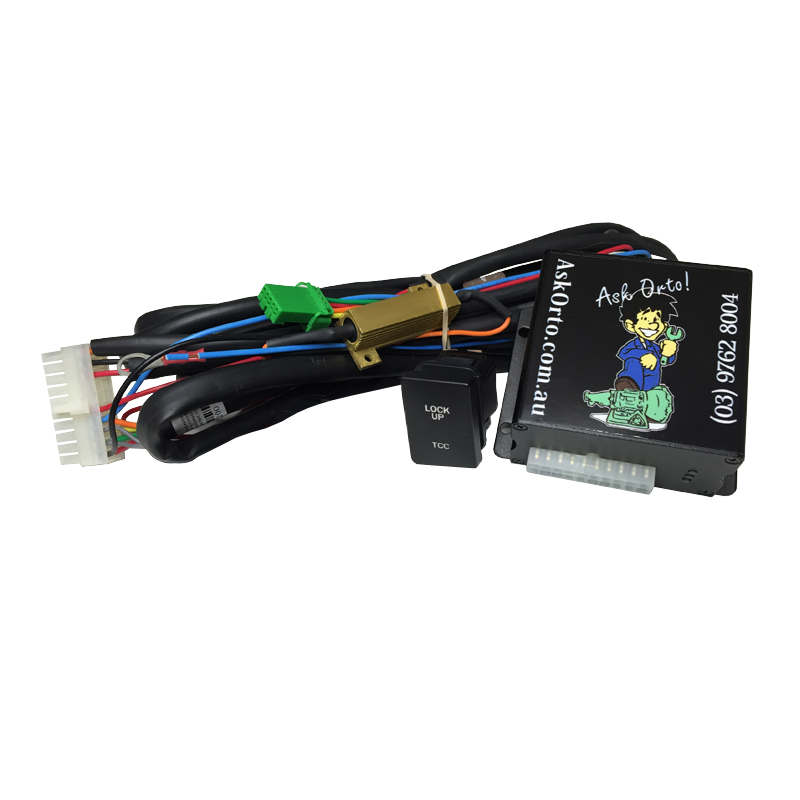 The system can be purchased as a self install kit with easy to follow wiring schematics for each vehicle. However, if you are not that familiar with a soldering iron then installation is available at our head office in Bayswater, Melbourne or one of our many fitting agents around Australia. 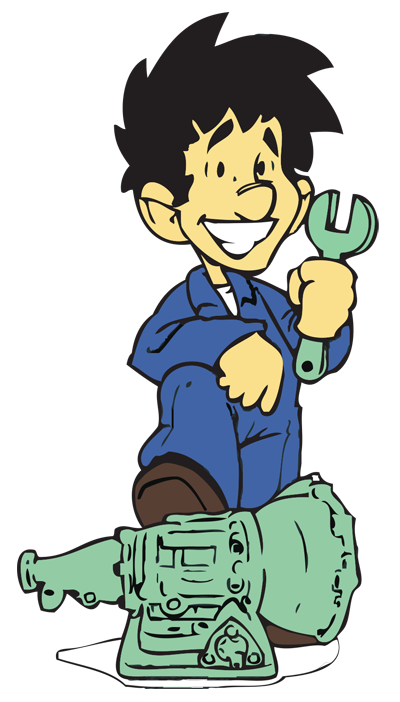 Once installed, the operation is as easy as pie. It’s just ONE button. Press the button when you want to override the factory lockup control. Then press again when you want the factory ECU to take back control. It’s that easy. The user experience is always an important factor with any product and the GENII Torque Converter Lockup Kit is no different. 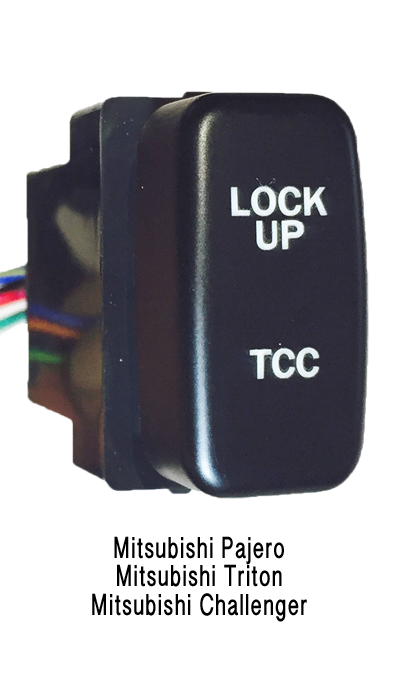 Custom made to work with our system, the OEM styled switches are available for most popular vehicles. Also available with a standard carling rocker switch.